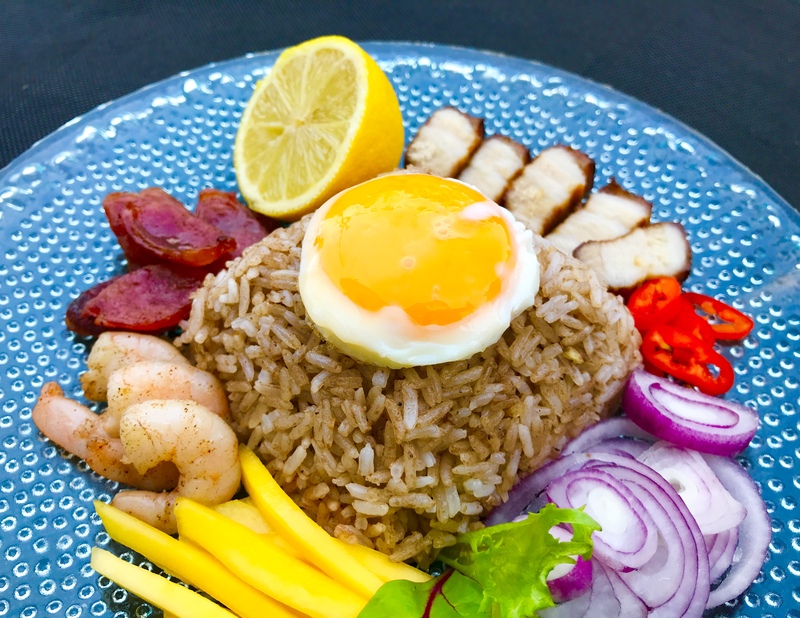 ‘Khao Klukh Krapi’ is a traditional Thai fried rice made with shrimp paste, garlic, lemon, prawns and cucumbers. 1.Cook the rice. Peel the prawns and cut it into small pieces. 2.Pour oil into the wok, add garlic, chilli paste and stir till garlic becomes light brown. 3.Now add chicken and prawns, stir till cook. 4.Add shrimp paste, fish sauce and lemon juice. Mix. 6.Garnish with slices of omelet and cucumber.